Everywhere across the nation as schools explore ways to nurture STEM careers, innovation is also at work. Students in high school can "major" in health fields, such as biomedicine, or aerospace - like students at Toltech T-STEM Academy do. At Toltech, located in inner-city San Antonio, partnerships with universities and community colleges and businesses are taken very seriously - opening doors for students to earn university credit early through dual credit courses. These tight partnerships make it possible for students who never dreamed of having a professional career to receive a certificate in aerospace. 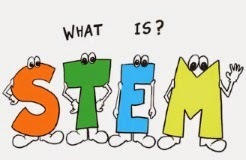 STEM education takes on many forms at many levels, but innovation is at the heart of the curriculum, both inside and outside the classroom. It is about engaging students in projects and curriculum that empowers them to be creatively problem solve and invent. This could be a science project in a kindergarten class, a university-sponsored community problem solving project, after-school robotics or rocketry programs, or internships at hospitals and businesses. Successful projects yield newly formed passions for learning. According to these experts, including Dr. Tony Wagner, Thomas Friedman and others, experiences that foster innovation is woefully absent in our schools. How do we encourage a passion for learning, curiosity, collaboration, and play that it takes to create innovators?